The World of entertainment is switching towards the 3D revolution, as in my earlier post about 3D revolution, depicts the fact that how people are generous about the 3D technology. Samsung is in a lead to launch the first 3D television globally in the first week of August. Apart from being a 3D TV, if also offers a unique feature of a touchscreen remote, which will enable the user to watch all channels on the remote itself. 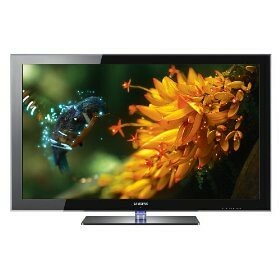 The Expected price of Television would be Rs 440,000 for a Samsung Series 9000 in 55 inch model. The world's slimmest 3D TV is set to debut in India which is Samsung series 9000 of 55 inch that is going to come at a price of Rs 440,000. It is also the only company in India that has come out with a 3D range across the wide range of LCDs, the Plasma's and LED's televisions. There is an implementation of another technology known for converting the 2D stream to the 3D. verted into 3D. The Tv will also offer several other features such as internet connection facility where one can make internet video calls through Internet, organise, add and delete content via its application library. Coming to the conversion of 2D to 3D technology, the user can also convert his existing two dimension content to the three dimension. iPhone 4: Skype with multitasking support now available! 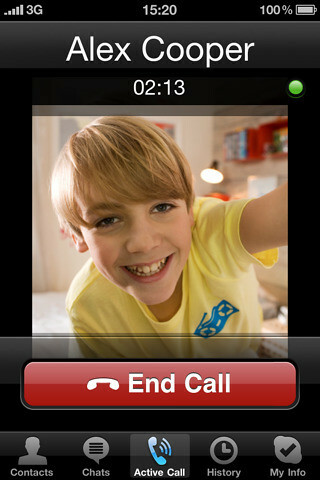 Skype well known for voice over internet calls, with superior call quality rate has a new update in the iPhone stream. Now Skype also supports multi tasking capabiliities of iOS. i.e you dont have to keep the application open all the time just so that you dont want to miss the calls. Since its just few weeks, iOs launched to the multitasking masses and today, the dream of always on skype becomes a reality. Skype really steped up to the situation and updated its application support to iOS capabilities. Incoming call while the app isn't in view? you'll see a prompt. You can also move-into another application while on a call? Its no problem now, The skype call will continue. As per the speculations that skype planning to start charging for skype-to-skype calls made over 3G. Now you dont have to worry, they dropped that idea, but the skype to non skype calls will be the same. hence regardless of any network you are using skype users will be able to have their conversations. Do express your opinions on this great skype update. 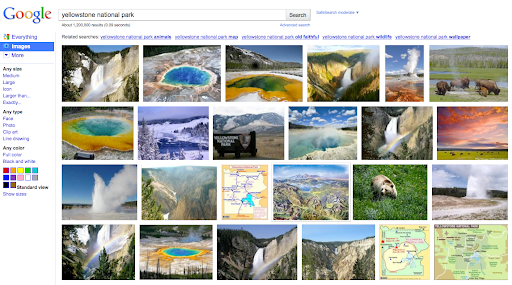 Google Images Update : Its all about images now! The Search giant Google has a new update in Images domain. Since its launch in 2001, its turned out to be a one and only stop for all the image search. As Google is pretty good at organizing these types of information, but consider all the things you can’t express with words, it helps you. Google apart from being fast at indexing the images, applied its techniques to make the search even more faster. This also makes the service invincible. Google is now rolling out its updates in coming few days to match the scope and beauty of this fast growing visual web, with its powerful technology behind the images. Optimized keyboard navigation for faster scrolling through many pages, taking advantage of standard web keyboard shortcuts such as Page Up / Page Down. It’s all about getting you to the info you need quickly, so you can get on with actually building that tree house or buying those flowers. There’s another announcement which Google had to make, a new ad format called Image search Ads. These ads will appear only on Google Images, and they let you include a thumbnail image alongside your lines of text. you can observe this changes rolling out in most of Google’s local interfaces and worldwide over the next few days. 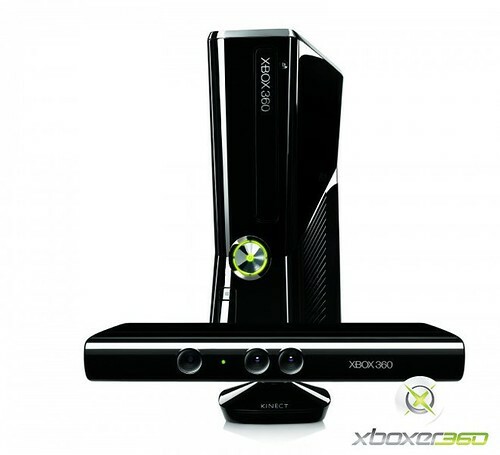 Get ready to try out the new Xbox 360 hot deal, The Hard drive less Xbox 360 Arcade will soon be replaced with a $199 SKU that comes with 4GB of flash Storage. All this comes out on August 3. If you are waiting for the Kinect deal which is not bundled with the original 360, then unfortunately you have to wait till november to have this bundle with Xbox. For that thing to happen, you have to pay $149 which includes Kinect adventures.But if you want to have the three things in a bundle i.e Xbox 360 + Kinect + Kinect Adventures then the total cost would be around $299. So just hang on till August 3 to get your arcade with 4Gb and till November with Kinect adventures games, at the holiday time it will be around $299 4GB 360+Kinect+Kinect Adventures bundle. Do express your opinion on this Xbox deal..
As one of my previous post about the 3D revolution predicts the expansion of 3D technology, here a cool news LG has recently launched its first 3D notebook called the LG R590. Its a notebook with a 15.6 inch screen, powered by Intel iCore 7 processor, a Nvidia GeForce GT335M graphics card, SRS Tru-Surround HD, optional Blu-ray drive and the and TriDef software which does 2D video to 3D conversion in real time. Though the announcement has been done in Korea market the impact will be critical. With Laptop manufacturers injecting the latest technology and specifications like iCore with Nvidia graphics its hard to believe such innovations. if you want to have a 3D experience you have to use polarized glasses rather than the shutter glasses. 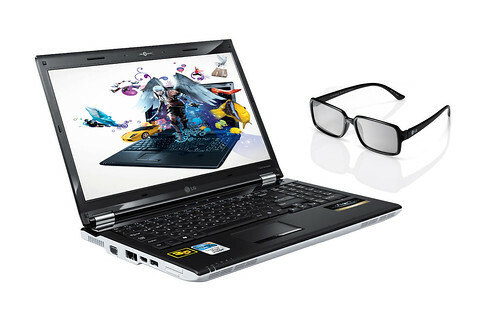 Do express your view on this latest 3D laptop from LG. same to JNTU. Postal charges Rs.25/- is to be paid( Postal charges Depends on the respective colleges). 5. It may take two to three weeks for getting PC from JNTU through college. Any student (B.Tech/B.Pharm) who failed in one theory subject or two theory subjects can also get his / her Consolidated Marks Memo and Provisional Certificate along with the other students (After the deceleration of 4-2 results u can apply for CMM & PC) by submitting the enclosed Undertaking to the University through the concerned Principal. 1. The procedure to get Original Degree will be announced by JNTU along with the announcement of convocation of that batch. Student may browse JNTU web site: www.jntu.ac.in2. Students have to apply to JNTU, Kukatpally, after paying the required fee at the University. The application & fee details are available at JNTU, Kukatpally, or in web site. 3. The Degree certificate will be sent to the student address by JNTU. 4. Students need not contact their respective College for these certificates. 1. Fee for Recounting Rs. 100.00 per subject. 1. Fee of Rs. 50/- per Mark List is to be paid by DD drawn in favour of Registrar, JNTU, Hyderabad Payable at Hyderabad. 2. Student has to apply through Examination cell along with Xerox copy of SSC Marks memo, and Original copies of marks lists on which correction is to be made. 3. Postal charges Rs.25/- is to be paid by student (Depends on the respective colleges). Data collaborated from different pages for simplicity, you can find latest updates from the original data source.